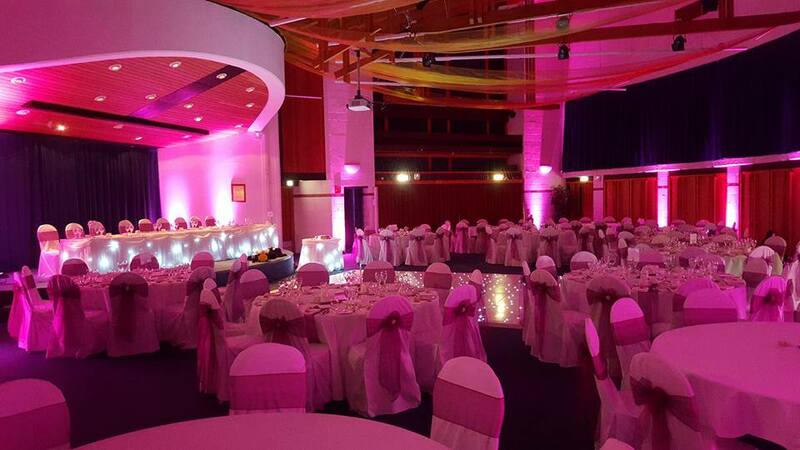 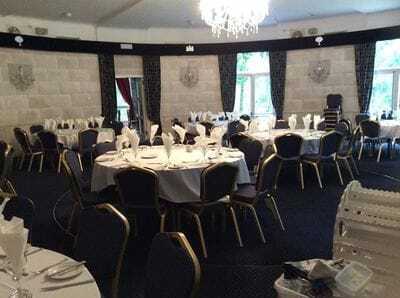 Moodlighting is also known as uplighting and is key to creating the right ambiance in your venue. 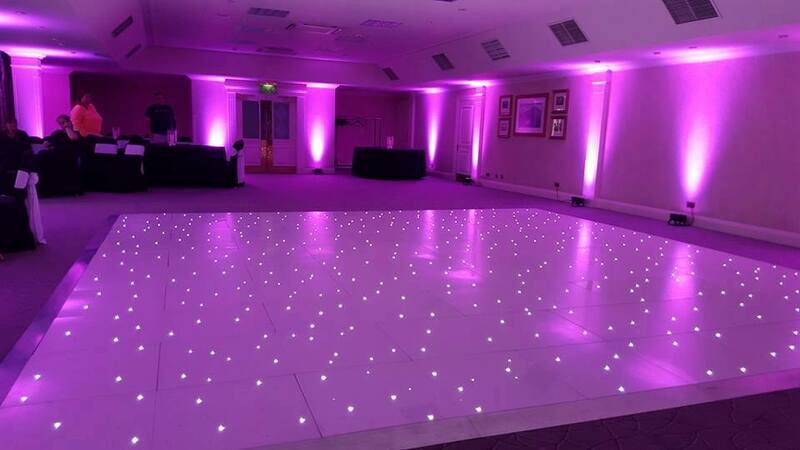 Effective use of lighting can completely transform the look of your room whether it be from candle light around your centrepieces, LED Light bases, or coloured uplighters around your room. We use the latest in technology with slim line uplighters which come in a huge range of colours and shades including pink, red, purple, blue, green, yellow, orange, lilac, torquoise and many more shades in between. 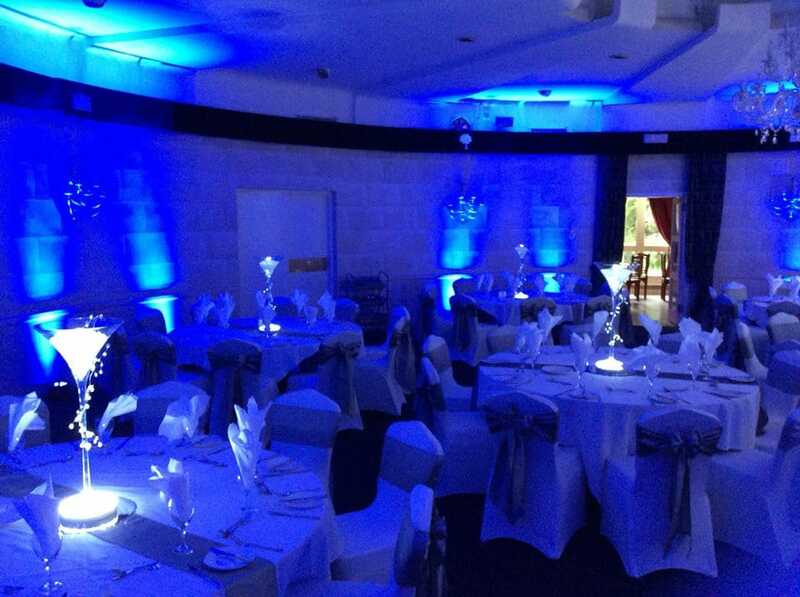 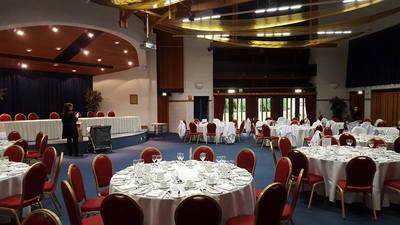 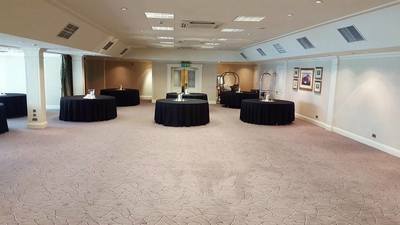 Have a look below at our before and after photo's to give you an idea of how moodlight can change the look of your venue.